The U.S. Federal Communications Commission must move quickly to set limits on the rates that large telecom carriers charge businesses and competitors for middle-mile access because AT&T is planning significant rate hikes in July, a group of competitors, consumer groups and business customers said. AT&T is poised to raise rates on so-called special access lines, the middle-mile connections to telecom carriers' central switching facilities, when FCC-enforced conditions on AT&T's December 2006 acquisition of BellSouth expire after Wednesday, members of the NoChokePoints Coalition said Tuesday. AT&T announced that it planned to raise special access rates once the merger conditions expired in notifications filed with the FCC in 2007. 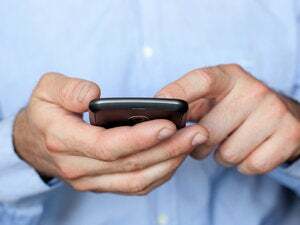 The rates paid by some large-business customers could rise by 7 percent to 8 percent, said Colleen Boothby, executive director of the Ad Hoc Telecommunications Users Committee, representing several large-business telecom customers. "None of [the Ad Hoc members] could announce, three years in advance, a price increase, because they operate in competitive markets," Boothby said. "If they did that, people would flee to alternatives." AT&T did not respond to the coalition's concerns. The FCC capped AT&T's special access rates in an order approving the acquisition of BellSouth. NoChokePoints and other critics of special access rates have argued that the FCC needs to overturn a 2000 decision to deregulate in the area because AT&T and Verizon Communications control 80 percent of the market. The AT&T rate hikes will drive up costs for many large businesses, but also for small ISPs and mobile carriers, which use special-access lines to carry their traffic to the Internet and telephone network, said Maura Corbett, executive director of the NoChokePoints Coalition, which formed in 2009 to push for special access reform at the FCC. Many businesses will pass the special access rate increases on to their customers, she said. "We're particularly concerned about this rate hike and its effect on small business and consumers, leaving all of us without protections from crazy, excessive pricing," Corbett added. The rate increases from AT&T will cost Sprint Nextel "tens of millions" of dollars a year, said Paul Schieber, vice president for access and roaming at Sprint Nextel. The FCC, in its national broadband plan released in March, included special access reform as one of its goals. But special access seems to be on the agency's back burner, as officials there focus on net neutrality and other issues, Boothby said. An appeals court ruling in April has raised questions about the FCC's authority to implement net neutrality rules and some parts of the broadband plan, but there's no question that the agency has the authority to reform special access rates, said members of NoChokePoints. "We all know the FCC is struggling with limits on its jurisdiction," said Gigi Sohn, president of Public Knowledge, a digital rights group. "But this doesn't have those limits. Here's something they can act on now without having to worry that their authority is going to be threatened in court, and it'd have a huge impact on competition, on [broadband], on prices." The FCC plans to issue a notice of proposed rulemaking on special access in the third quarter of this year, according to a broadband plan timeline published by the agency.